Marshal General Jean-de-Dieu Soult, 1st Duke of Dalmatia, (French: [ʒɑ̃dədjø sult]; 29 March 1769 – 26 November 1851) was a French general and statesman, named Marshal of the Empire in 1804 and often called Marshal Soult. Soult was one of only six officers in French history to receive the distinction of Marshal General of France. The Duke also served three times as President of the Council of Ministers, or Prime Minister of France. Soult's intrigues while occupying Portugal earned him the nickname, "King Nicolas", and while he was Napoleon's military governor of Andalusia, Soult looted 1.5 million francs worth of art. One historian called him "a plunderer in the world class." 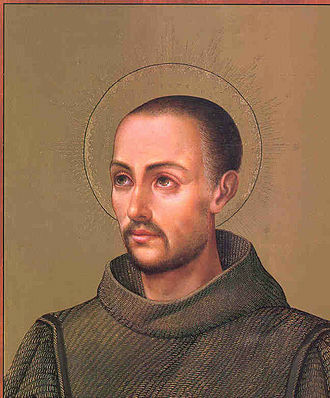 Soult was born at Saint-Amans-la-Bastide (now called Saint-Amans-Soult, near Castres, in the Tarn departement) and named after John of God. He was the son of a country notary named Jean Soult (1726–1779) by his marriage to Brigitte de Grenier. His paternal grandparents were Jean Soult (1698–1772) and Jeanne de Calvet, while his maternal grandparents were Pierre François de Grenier de Lapierre and Marie de Robert. His younger brother Pierre also became a French general. Well-educated, Soult originally intended to become a lawyer, but his father's death when he was still a boy made it necessary for him to seek employment, and in 1785 he enlisted as a private in the French infantry. Soult's superior education ensured his promotion to the rank of sergeant after six years' service, and in July 1791 he became instructor to the first battalion of volunteers of the Bas-Rhin. 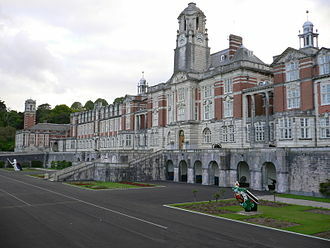 He was serving in this battalion in 1792. By 1794, he was adjutant-general (with the rank of chef de brigade). After the Battle of Fleurus of 1794, in which he distinguished himself for coolness, he was promoted to brigadier general by the representatives on mission. For the next five years Soult was employed in Germany under Jourdan, Moreau, Kléber and Lefebvre, and in 1799 he was promoted general of division and ordered to proceed to Switzerland. It was at this time that he laid the foundations of his military fame; he particularly distinguished himself in Masséna's great Swiss campaign, and especially at the Battle of Linth River, fought on the same day that Masséna won the Second Battle of Zurich. He accompanied Masséna to Genoa, and acted as his principal lieutenant throughout the protracted siege of that city, during which he operated with a separate force outside the city walls. He was wounded and taken prisoner at Monte Cretto on 13 April 1800. 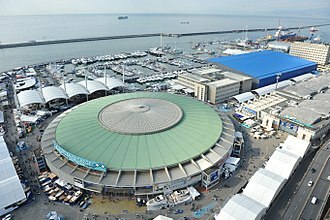 The victory of Marengo restored his freedom, and Soult received the command of the southern part of the kingdom of Naples. In 1802 he was appointed one of the four generals commanding the consular guard. Though he was one of those generals who had served under Moreau, and who therefore, as a rule, disliked Napoléon Bonaparte, Soult had the wisdom to show his devotion to the ruling power. In consequence he was appointed in August 1803 as the commander-in-chief of the Camp of Boulogne, and in May 1804 he was made one of the first marshals of the Empire. He commanded a corps in the advance on Ulm, and at Austerlitz he led the decisive attack on the allied centre. 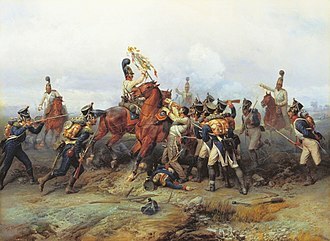 Soult played a great part in many of the famous battles of the Grande Armée, including the Battle of Austerlitz in 1805 and the Battle of Jena in 1806. However, he was not present at the Battle of Friedland because on that same day he was conquering Königsberg. 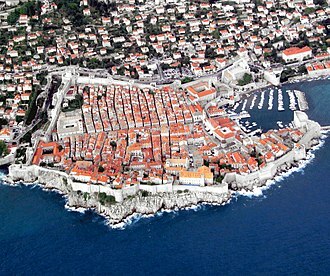 After the conclusion of the Peace of Tilsit, he returned to France and in 1808 was anointed by Napoléon first Duke of Dalmatia (French: Duc de Dalmatie). 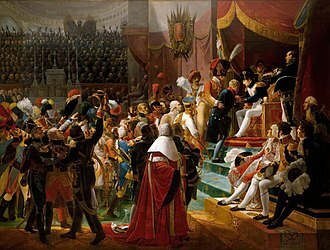 The awarding of this honour greatly displeased him, for he felt that his title should have been Duke of Austerlitz, a title which Napoléon had reserved for himself. In the following year, Soult was appointed to the command of the II Corps of the army with which Napoléon intended to conquer Spain. After winning the Battle of Gamonal, Soult was detailed by the Emperor to pursue Lieutenant-General Sir John Moore's British army. At the Battle of Coruña, at which Moore was killed, the Duke of Dalmatia failed to prevent British forces escaping by sea. For the next four years Soult remained in Spain engaged in the Peninsular War. In 1809, he invaded Portugal and took Oporto, but was isolated by General Silveira's strategy of contention. 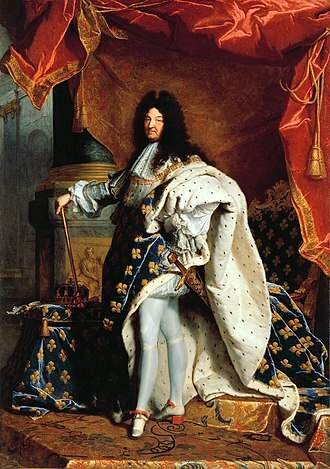 Busying himself with the political settlement of his conquests in the French interests and, as he hoped, for his own ultimate benefit as a possible candidate for the Portuguese throne, he attracted the hatred of Republican officers in his Army. Unable to move, he was eventually driven from Portugal in the Second Battle of Porto by Lieutenant-General Sir Arthur Wellesley (later created Duke of Wellington), making a painful and almost disastrous retreat over the mountains, pursued by Beresford and Silveira. After the Battle of Talavera (1809) he was made chief-of-staff of the French troops in Spain with extended powers, and on 19 November 1809, won a great victory at the Battle of Ocana. In 1810 he invaded Andalusia, which he quickly overran. However, because he then turned to seize Seville, the capture of Cádiz eluded him. He said, "Give me Seville and I will answer for Cádiz." 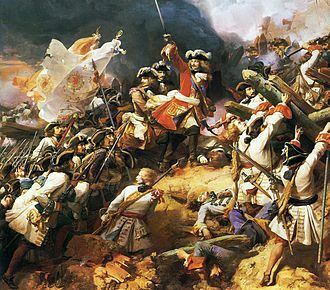 This led to the prolonged and futile Siege of Cadiz, a strategic disaster for the French. In 1811 he marched north into Extremadura and took Badajoz. When the Anglo-Portuguese army laid siege to the city he marched to its rescue, and fought and nearly won the famous and very bloody Battle of Albuera on 16 May. In 1812, after Wellington's great victory of Salamanca, Soult was obliged to evacuate Andalusia. In the subsequent Siege of Burgos campaign, Soult was able to drive Wellington's Anglo-Allied army back to Salamanca. There, the Duke of Dalmatia, as Soult was now known, failed to attack Lord Wellington despite an 80,000 to 65,000 superiority of numbers, and the British army retired to the Portuguese frontier. Soon after, he was recalled from Spain at the request of Joseph Bonaparte (who had been installed by his brother as King Joseph I of Spain) with whom, as with the other marshals, he had always disagreed. In March 1813 Soult assumed the command of IV Corps of the Grande Armée and commanded the centre at Lützen and Bautzen, but he was soon sent, with unlimited powers, to the South of France to repair the damage done by the defeat of Vitoria. It is to Soult's credit that he was able to reorganise the demoralised French forces. His last offensives into Spain were turned back by Wellington in the Battle of the Pyrenees (Sorauren) and by Freire's Spaniards at San Marcial. Pursued onto French soil, Soult was maneuvered out of several positions at Nivelle, Nive, and Orthez, before suffering what was technically a defeat at Wellington's hands at the Battle of Toulouse. He nevertheless inflicted severe casualties on Wellington and was able to stop him from trapping the French forces. 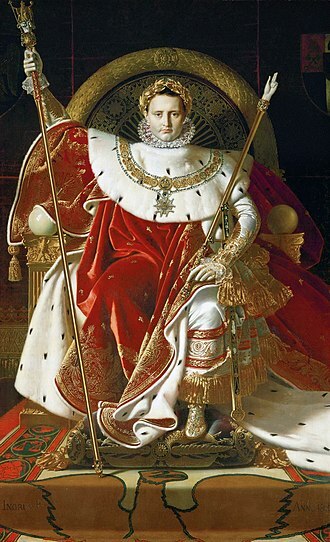 After the first abdication of Napoléon (1814), he declared himself a Royalist, received the Order of St. Louis, and acted as minister of war from 3 December 1814 to 11 March 1815. When Napoléon returned from Elba, Soult at once declared himself a Bonapartist, was made a peer of France and acted as chief of staff to the Emperor during the Waterloo campaign, in which role he distinguished himself far less than he had done as commander of an over-matched army. In his book, Waterloo: The History of Four Days, Three Armies and Three Battles, Bernard Cornwell summarizes the opinions of several historians that Soult's presence in the Army of the North was one of several factors contributing to Napoleon's defeat, because of the animosity between him and Marshall Ney, the other senior commander, and because, in spite of his experience as a soldier, Soult lacked his predecessor Marshal Berthier's administrative skills. 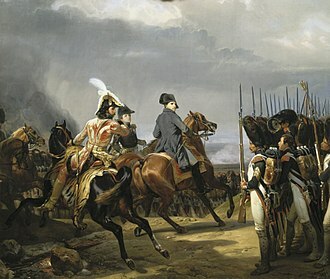 The most glaring instance of this was his written order, according to Napoleon's instructions, to Marshal Grouchy to position his force on the British army's left flank, to prevent reinforcement by their Prussian allies. Cornwell decries the wording of Soult's order as "almost impenetrable nonsense", and Grouchy misinterpreted the order and instead marched against the Prussian rearguard at Wavre. At the Second Restoration (1815) he was exiled, but in 1819 he was recalled and in 1820 again made a Marshal of France. He once more tried to show himself a fervent Royalist and was made a peer in 1827. 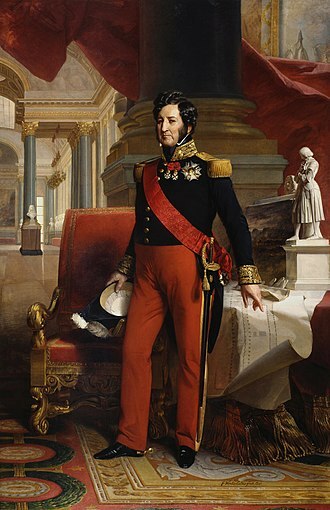 After the revolution of 1830 he declared himself a partisan of Louis Philippe, who welcomed his support and revived for him the title of Marshal General of France, previously held only by Turenne, Claude Louis Hector de Villars and Maurice de Saxe. Soult served as Minister of War from 1830 to 1834, as President of the Council of Ministers (or Prime Minister) from 1832 to 1834, as ambassador extraordinary to London for the Coronation of Queen Victoria in 1838 – where his former enemy Field Marshal The 1st Duke of Wellington reputedly caught him by the arm and exclaimed 'I have you at last!' —, again as Prime Minister from 1839 to 1840 and 1840 to 1847, and again as minister of war from 1840 to 1844. In 1848, when Louis Philippe was overthrown, the aged Marshal General the Duke of Dalmatia again declared himself a republican. 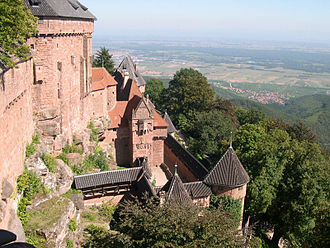 He died at his castle of Soult-Berg, near his birthplace. Soult published a memoir justifying his adherence to Napoleon during the Hundred Days, and his notes and journals were arranged by his son Napoleon Hector, who published the first part (Mémoires du maréchal-général Soult) in 1854. Le Noble's Mémoires sur les operations des Français en Galicie are supposed to have been written from Soult's papers. Although often found wanting tactically – even some of his own aides questioned his inability to amend a plan to take into account altered circumstances on the battlefield – his performance in the closing months of the Peninsular War is the finest proof of his talents as a general. Repeatedly defeated in these campaigns by the Allies under Wellington, it was the case that many of his soldiers were raw conscripts while the Allies could count greater numbers of veterans among their ranks. Soult was a skillful military strategist. An example was his drive to cut off Wellington's British army from Portugal after Talavera, which nearly succeeded. Though repeatedly defeated by Wellington in 1813–1814, he conducted a clever defence against him. Soult's armies were usually well readied before going into battle. After Vitoria, he reorganized the demoralized French forces of Joseph Bonaparte into a formidable army in a remarkably short time. An exception to this good logistical record was launching the Battle of the Pyrenees offensive when his soldiers only had four days' rations. Tactically, Soult planned his battles well, but often left too much to his subordinates. Wellington said that "Soult never seemed to know how to handle troops after a battle had begun". An example of this was at the Battle of Albuera, where he brilliantly turned Beresford's flank to open the battle, yet when he found himself facing unexpected opposition from Spanish and British troops, he allowed his generals to adopt a clumsy attack formation and was beaten. Another example of his strengths and weaknesses can be seen at the Battle of the Nive. Soult recognized Wellington's strategic dilemma and took advantage by launching surprise attacks on both wings of the Anglo-Allied army. But French tactical execution was poor and the British general managed to fend off Soult's blows. Sloppy staff work marred his tenure as Napoléon's chief-of-staff in the Waterloo campaign. Napoléon (1802–1857), 2nd Duke of Dalmatia, who died without male heir, at which time the title became extinct. ^ The Quarterly Review, Volume 257, 1931, p.362. ^ Fuesers, Axel (2005). Napoleons Marschall Soult und Louise Berg. Goettingen (Germany): Wallstein. ISBN 3-89244-897-3. A. Combes, Histoire anecdotique du maréchal Soult (Castres, 1869). Bukhari, Emir: Napoleon's Marshals. Osprey Publishing, 1979, ISBN 0-85045-305-4. Chandler, David: Napoleon's Marshals. Macmillan Pub Co, 1987, ISBN 0-02-905930-5. Connelly, Owen: Blundering to Glory: Napoleon's Military Campaigns. SR Books, 1999, ISBN 0-8420-2780-7. Hayman, Peter: Soult: Napoleon's Maligned Marshall. Sterling Pub, 1990, ISBN 0-85368-931-8. 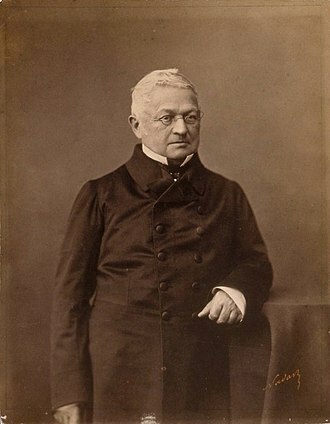 Wikimedia Commons has media related to Nicolas Jean-de-Dieu Soult. The bloody battle of Heilsberg, 1807. Napoleon and Soult vs Bennigsen. Civil-law notaries are limited to areas of private law, that is, domestic law which regulates the relationships between individuals and in which the State is not directly concerned. Ordinarily, they have no authority to appear in court on their clients behalf, their role is limited to drafting and registering certain types of transactional or legal instruments. In some countries, such as the Netherlands, France or Italy, among others, they retain and keep a copy of their instruments—in the form of memoranda—in notarial protocols. 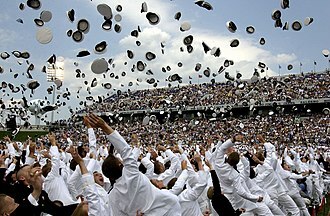 Notaries generally hold undergraduate degrees in law and graduate degrees in notarial law. Notarial law involves expertise in a spectrum of private law including family law and testamentary law and property law, the law of agency. Any such practice is usually regulated, and most countries parcel out areas into notarial districts with a set number of notary positions. This has the effect of making notarial appointments very limited, as a lawyer, a civil-law notary draws up and executes legal instruments called notarial instruments. Traditionally, notarial instruments trigger a præsumptio veritatis et solemnitatis entailing two consequences—regularity and probativity, being an official act, a presumption of regularity attaches to the instrument, meaning all prescribed formalities have been carried out, including the reading over of the instrument. Second, an instrument is self-authenticating and probative, i. e. it constitutes full proof of the agreement it contains, as against the parties, their heirs. It means the notarys firsthand narrations of fact are conclusively presumed true and correct, whereas secondhand narrations are merely assertio notarii which are rebuttably presumed valid. In either case, the appearer always walks away with an instrument that is self-executing, notarial instruments have a fixed effective or signature date that cannot be ante- or postdated, or left blank and filled in after signing. Notarial instruments cannot be altered or overridden by prior or subsequent instruments under hand, in other words, for example, a notarial will could not be amended or superseded by a non-notarial codicil or will. The Battle of Heilsberg took place on 10 June 1807, during the Napoleonic Wars. 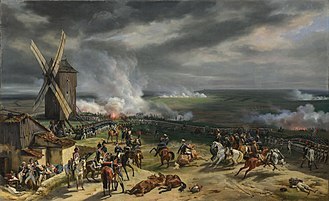 On 24 May 1807, the Siege of Danzig ended when Prussian General Friedrich Adolf, with Danzig secured, Napoleon was now free to turn against Bennigsens army. Yet it was the Russian who struck first when he ordered his columns to converge on Marshal Michel Neys exposed VI Corps on 2 June. Outnumbered 63,000 to 17,000, Ney fought a brilliant rear guard action at the Battle of Guttstadt-Deppen on 5 and 6 June. 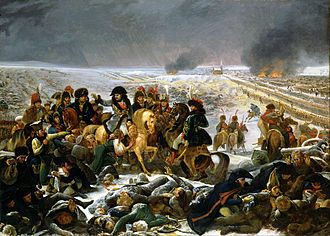 Within two days, Napoleon ordered his 190, 000-man army to close in on the 100,000 Russians and 15,000 Prussians, detecting the approaching avalanche, Bennigsen ordered his troops to retreat on Lidzbark Warmiński. The Russian army took up defensive positions around the town. The French army, under Marshals Murat and Lannes, attacked on 10 June, Bennigsen repelled several attacks, resulting in huge French casualties, but had to withdraw towards Friedland the following day. Four days later, the decisive Battle of Friedland occurred, ending the War of the Fourth Coalition with the passing of the Treaty of Tilsit, the Battle of Heilsberg was fought on the Alle river, known today as the Lyna. The Teutonic Castle being the point of the battle was held by Russian control. Defensively, the castle was supported by its bridges and walls, the land surrounding the Teutonic Castle acted as an obstacle for the French army due to the increase of elevation from the base of the river to the castles foundation. The Prussian 21st Fusiliers, commanded by Ludwig August von Stutterheim, was garrisoned there, although the terrain was punishment enough for the French, weather took a toll on their abilities and health. 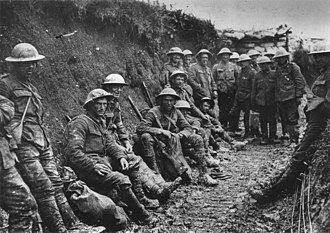 During the day, on top of the weight being carried in regards to supplies and armory, temperatures reached dangerously hot, the dampness and bitter cold of the night played a significant role by providing little opportunity for rest. The French were initially outnumbered by the Russians, and knowing this, at the beginning of the battle, French army men were separating amongst their own divisions. This tactic was thought to help block Russian sights in terms of all the French positioning and flanking, although the woods surrounding the French had provided a perimeter of camouflage, the shrubbery did not extend to the barren field in front of the castle. Tarn is a French department located in the Occitanie region in the southwest of France named after the Tarn river. 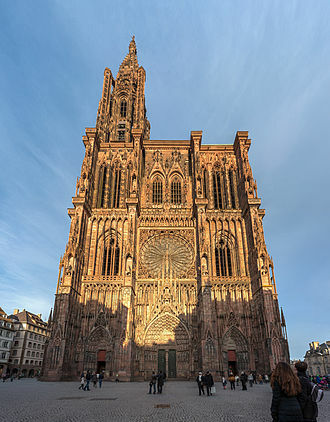 Its prefecture and largest city is Albi, the inhabitants of Tarn are known, in French, as Tarnais. Tarn is one of the original 83 departments created during the French Revolution on 4 March 1790 and it was created from part of the former province of Languedoc, and comprised the dioceses of Albi and Castres. The new department had five districts, Castres, Gaillac, the capitals were, alternatively and Castres but, from 1790 to 1797, the capital was only Albi, in 1797, the capital was moved to Castres. In 1800, Albi became again the capital of the department and the arrondissements were created, in 1926, the arrondissements of Gaillac and Lavaur were eliminated. By the law of 28 Pluviôse Year 5, the departments of Hérault, Tarn is part of the Occitanie region and has an area of 5,757.9 km2. Tarns three principal ranges lying to the south-east are, the Mountains of Lacaune, the Sidobre, the stony and wind-blown slopes of the Mountains of Lacaune are used for pasture. The two principal French Armies of 1794 were formed from four smaller units, each contributing a portion of its troops to either the Sambre and Meuse or the Army of the Rhine and Moselle. The right flank of Army of the North remained in the Netherlands. Madame Perier by Louis Hersent (1831), Musée de la Révolution française. Contemporary drawing of the battle by Siméon Fort.